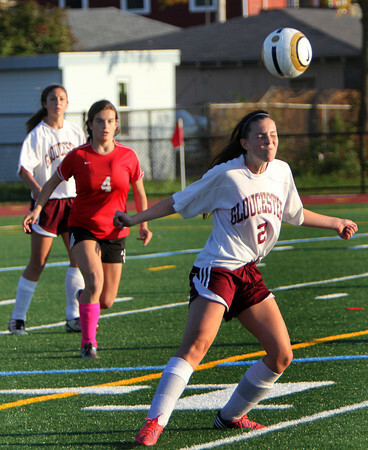 Allegra Boverman/Gloucester Daily Times. Gloucester High School girls varsity player Riley Gately, front, heads the ball during the first half of their game against Marblehead on Monday afternoon. Marblehead's Jess Attridge is second from left.